A revelatory new biography of Adolf Hitler from the acclaimed historian Brendan Simms Adolf Hitler is one of the most studied men in history, and yet the most important things we think we know about him are wrong. As Brendan Simms's major new biography shows, Hitler's main preoccupation was not, as widely believed, the threat of Bolshevism, but that of international capitalism and Anglo-America. These two fears drove both his anti-semitism and his determination to secure the 'living space' necessary to survive in a world dominated by the British Empire and the United States. Drawing on new sources, Brendan Simms traces the way in which Hitler's ideology emerged after the First World War. The United States and the British Empire were, in his view, models for Germany's own empire, similarly founded on appropriation of land, racism and violence. Hitler's aim was to create a similarly global future for Germany - a country seemingly doomed otherwise not just to irrelevance, but, through emigration and foreign influence, to extinction. His principal concern during the resulting cataclysm was not just what he saw as the clash between German and Jews, or German and Slav, but above all that between Germans and what he called the 'Anglo-Saxons'. 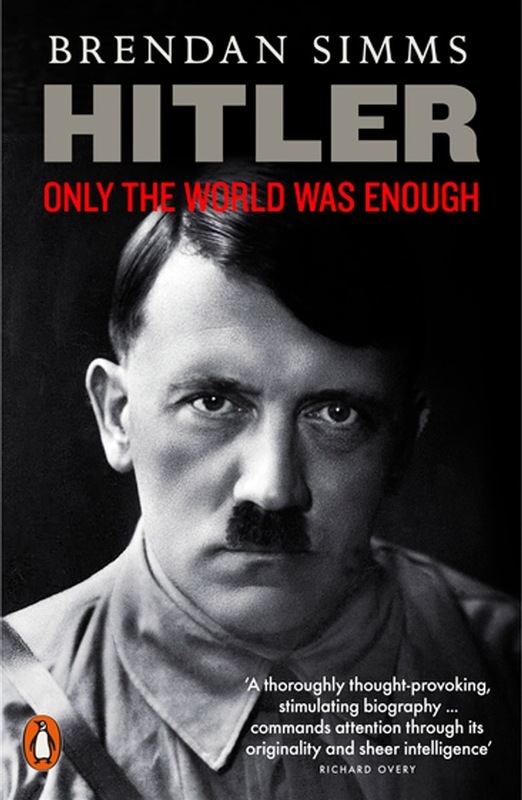 In the end only dominance of the world would have been enough to achieve Hitler's objectives, and it ultimately required a coalition of virtually the entire world to defeat him. Brendan Simms's new book is the first to explain Hitler's beliefs fully, demonstrating how, as ever, it is ideas that are the ultimate source of the most murderous behaviour. Acquista Hitler in Epub: dopo aver letto l’ebook Hitler di Brendan Simms ti invitiamo a lasciarci una Recensione qui sotto: sarà utile agli utenti che non abbiano ancora letto questo libro e che vogliano avere delle opinioni altrui. L’opinione su di un libro è molto soggettiva e per questo leggere eventuali recensioni negative non ci dovrà frenare dall’acquisto, anzi dovrà spingerci ad acquistare il libro in fretta per poter dire la nostra ed eventualmente smentire quanto commentato da altri, contribuendo ad arricchire più possibile i commenti e dare sempre più spunti di confronto al pubblico online.